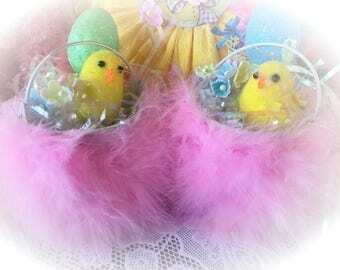 This is for one of my chenille covered Easter eggs on a glass stand. 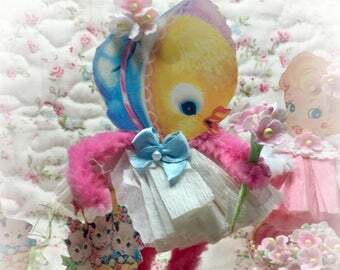 I have taken a foam egg, wrapped in super soft vintage style chenille, in a variegated pastel color of pink, white, yellow, minty blue. 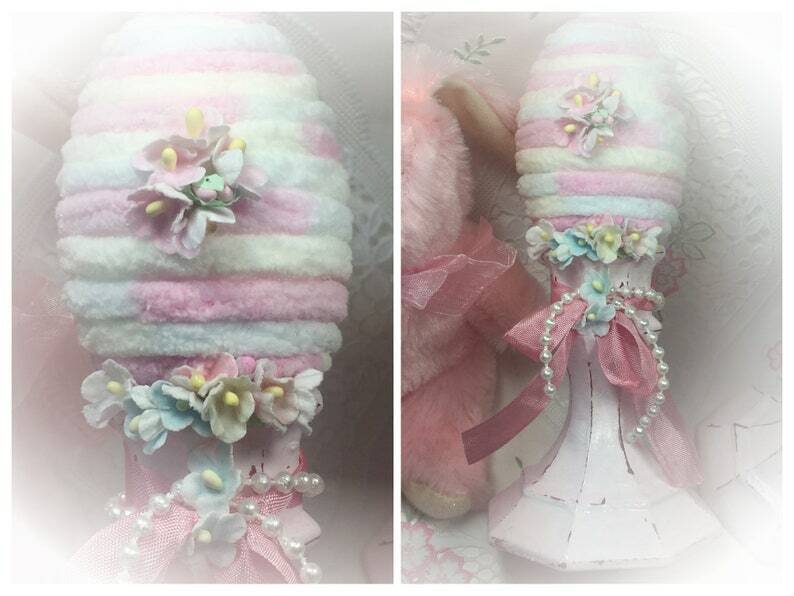 I then embellished this little sweetheart with vintage satin ribbon and vintage millinery flowers. It is attached to a glass stand that is handpainted in a shabby chic light pink and white base that I have distressed/chippy style. Each one might vary in slight detail. 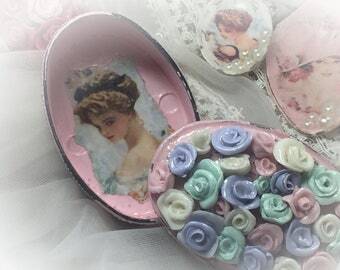 All embellished with flowers, ribbons and pearls. Perfect for your Easter dinner centerpiece. They measure approx. 7.25" to 7.5" in height.